After having the world at her feet as a member of Destiny's Child, still the best-selling female group of all time, Michelle Williams delivered two solo gospel albums. In 2002, she released "Heart To Yours, which became the best selling gospel album of the year, followed by "Do You Know" in 2004. After a stint on Broadway in Elton John's Aida, Williams returned this month with a brand new album, titled "Unexpected." It is a record full of fresh, dance-tinged R&B and pop that takes her career in an exciting new direction. After meeting Michelle at TRL studios in May when she introduced the MTV Logo ArjanWrites Brink Of Fame Award, I met up with her again before her record release party and performance at Splash Bar. We talked briefly about this new record, gay fans and the upcoming U.S. elections. Arjan: So Michelle Williams went from R&B to gospel to Broadway to pop. It has been quite a journey. I love the sound on this new record. It's very catchy and new for you. How did it come about? It’s not something that I planned to do. It just kinda happened, you know, working with the writers and producers that I ended up with. And I’m glad that I did because it's a fresh sound for me. I'm very excited about this record. Who are some of the people that you worked with for this record? I was very happy to work with Stargate who have done so many great records for others lately. I also worked with Rico Love, Andrew Frampton and Wayne Wilkins who are all great. We started recording in December of last year and I'm glad it is finally out for people to hear. How important is it for you to try new things? Do you think that your past with Destiny's Child makes it harder to venture out because people have certain expectations of what you will bring? It is very important to me to evolve as an artist. But you're right - most people will remember me from Destiny's Child. That will always be a part of me. I mean that's just something that I'll be associated with for the rest of my career. In the end, my goal is just to put out good music, you know, I don’t care what you call me or what music it is. 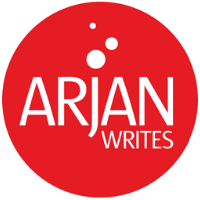 You presented the ArjanWrites Brink of Fame Award at the MTV Logo Awards in June. How important are your gay fans to you? I remember that! That was so much fun. You know I love my gay fans. I don’t discriminate against any fan. I don't single out a gay fan or a straight fan. I just try to lump everybody together. I don’t feel like, 'Ooo. I have a gay fan' you know. I thank God for my gay fans. They’ve been very rewarding to me. I'm basically colorblind when it comes to my fans. I love all of them. Are you going to take this record overseas? With Destiny's Child you have traveled all over the world to perform and promote. Do you think that there’s a difference between fans in America and fans overseas? Do they respond differently to the music? The fans overseas are so appreciative. They appreciate you for coming all the way, performing and thinking of them. There have been some excellent remixes of "Break The Dawn," the first single from this new album. How involved are you with the remixes of your song? Do you have a favorite? Absolutely. My label usually works on getting DJs and producers to create remixes. I listen to all of them and approve then. My favorite? The Karmatronic remix. That's a great one. Are there any emerging artists that you're really into right now? I really like Lady Gaga, Keri Hillson and Jazmine Sullivan. I met Lady Gaga at the NewNowNext Awards. I love her. Are you excited about the U.S. presidential elections? Do you know who you will vote for if I may ask? Obama. I'm from Chicago you know. What does Obama represent to you? He represents a new sense of freedom, a new…just something refreshing and change. Somebody who understands the people, you know. Who gets on our level. I really think he wants to help the people. I would love to do some things for Obama. We come from the same town, so hopefully I can get more involved and do more things. Good luck with your gig tonight. Thanks so much for the chat. Thanks! Good to talk to you again. IF U HAVE NOT HEARD OF IT!!!!!!!! better get it cause ur missing out! OUT NOW OUT NOW OUT NOW!!! !